To Kill A Machine, Scriptography Productions’ 2015 Edinburgh Fringe Festival hit, is transferring to London’s King’s Head Theatre next month after last year’s successful tour in Wales. Catrin Fflur Hews’ To Kill a Machine tells the life story of war-time cryptanalyst Alan Turing through the lens of a gameshow. 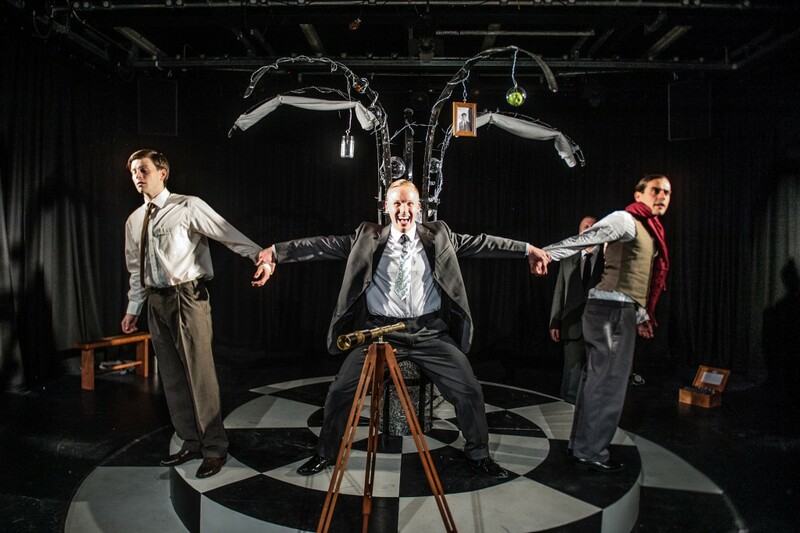 To Kill a Machine is a unique and innovative piece about a man condemned for his homosexuality and refusing to live a lie. Turing was turned into a hero then vilified for his sexuality and suicide and resurrected to hero after his death. It was originally piloted during the 2012 centenary celebrations for Alan Turing’s birth during when it was presented at a Science Cafe in Swansea University. But To Kill a Machine has been embraced by computer scientists who have applauded not only Catrin Fflur Huw’s telling of Turing’s life story but the way she has embedded Turing’s own work into the play. At the heart of the play is a powerful love story and the importance of freedom, in relation to Turing’s own life, death and posthumous re-evaluation. It is the story of Turing the genius, Turing the victim and Turing the constant in a tumultuous world. To Kill a Machine was nominated for four Wales Theatre Awards – Best Actor for Gwydion Rhys, Best Director Angharad Lee, Best Writer Catrin Fflur Huws and Best Production. To Kill A Machine runs at the King’s Head Theatre, Islington from April 6-23 (Tuesday-Sunday).